Do you or your family members love to bike? 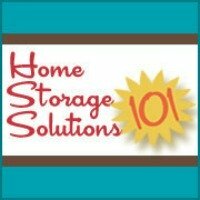 I know my family does, and if you are like us you can easily start accumulating a lot of bikes in your garage. All these bikes can take up a lot of floor space, and also you can start to ding them all up if they are all just leaned on top of each other. This is something my husband, an avid mountain biker, will not allow to his "baby." 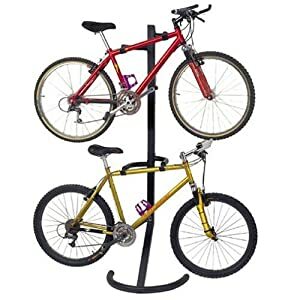 One option for storing two bikes at once is with this freestanding bike stand. It leans up against a wall, and you can optionally also secure it to the wall for additional stability (which I would suggest doing for safety of yourself and your bikes), and use otherwise wasted space to keep your bikes out of the way when they are not in use. Please note that if you have a very large bike frame, like people who are very tall often have, it will not necessarily fit two bikes on it. However, if you have several bikes amongst all your family members you will most likely be able to use this item for storage because not all the bikes will be that big. If this storage solution doesn't seem to fit your needs, you can also check out my alternative suggestion of a wall mounted bike rack for storing your family's bikes.